The INNOVA 3340 Automotive Digital Multimeter is the pros choice for a high quality multimeter. The pro quality features help pinpoint engine problems while the 10 MegOhm impedance prevents damage to the ECU. Includes temperature probe to measure temperature in both Celsius and Fahrenheit. Use the inductive pick up to vehicle RPM (including coil on plug vehicles). This unit provides hands-free testing and includes test lead holders. Additional features includes auto-ranging, auto shut-off, over-load protection, automatic zero adjustment and reverse polarity protection. The min/max and hold buttons save retrieved data and the rugged corner guards provide drop protection. The INNOVA 3340 is great for testing alternator diodes, duty cycle, solenoids, breaker points, wiring, switches, and more. 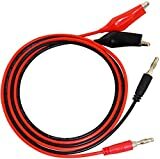 The Deluxe Automotive DMM is a professional grade tool used for diagnosing electrical, computer and engine problems on any vehicle. Includes two sets of test leads, RPM pick-up, temperature probe, protective holster, 9 volt battery, instructions manual and carrying case. Inductive RPM pick-up features a five position, adjustable sensitivity switch. Flexible 1.5 inch silicon pins provide easy back probing connections for DMM and scope measurements. These have become very popular for use in diagnostic troubleshooting. They are especially handy for back probing harness connectors in difficult areas. These can be used up to 30 Volts DC with most test lead sets. Klein Tools MM400 is an auto-ranging multimeter that measures AC/DC voltage, AC/DC current, and resistance. It can also measure temperature, capacitance, frequency, duty-cycle, and test diodes and continuity. 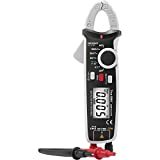 Klein Tools Test and Measurement product line was exclusively designed from the ground up by electricians for electricians. Years of field research, combined with extensive input from electricians across America, inspired the development of meters and electrical testers loaded with innovative, time-saving features. For use in basic and controlled electromagnetic environments such as residential, business and light-industrial locations. Includes test leads, thermocouple with adapter and batteries. For more than 160 years, Klein Tools has manufactured premium-quality, professional-grade hand tools that deliver the performance, durability and precision needed to get the job done right. Our family of engineers, workers and craftsman continue to put six generations of expertise into every tool we create by using only the highest quality materials, superior workmanship, and keeping manufacturing as close to home as we can. Klein isn’t just the name of our company, it’s also our family name. And since we’re an American company that’s family-owned and family-run, you know you can count on us to be here tomorrow. Klein Tools doesn’t just make great products, we make great products that stand up to the demands of the professionals who use them every day … Since 1857. These ultracompact entry-level clamp meters feature state-of-the-art ergonomic technology and represent excellent value for money. It enables non-contact current readings & additional multimeter functions. The clamp attachment makes separating circuits completely unnecessary. It is also perfect for all things automotive and solar energy as the meter comes with a DC reading function. The shock-proof device features a composite enclosure including a protective rubber layer and it also provides lots of grip. The clamp meter enables non-contact AC and DC readings, it takes current readings without the need to switch off and separate power circuits, preventing plant downtime. True RMS measurement enables reading of asymmetrical voltage and amperage with wave forms other than a sinus. Calibration according to manufacturer standards is part of Voltcraft Quality Assurance. Ensuring high quality products and compliance with tolerance limits as outlined in the user manual. This does not include certification. Built-in non-contact AC voltage tester (NCV). 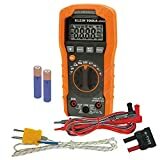 The Tekpower MS8211 is a pen-type digital multimeter with non-contact AC voltage sensor, it can measure AC/DC Voltage, Resistance, Diode and Continuity test. Its unique non-contact AC voltage sensor is a great feature for electric inspection, the maximum detection distance can be as far as 6 inches depending on the adjustable sensitivity. Features: Conforms to the IEC1010-1 standard Cat III 600V Over-molding rubber case protects meter, Display: 1,999 counts, Auto/manual range, Maximum value hold, Data hold, Auto power off Retractable tip, Sensitivity of AC voltage adjustable, Sound and flash alarm. Weight: Approx. 110g (including batteries). Carrying Bag, Manual, Test lead.